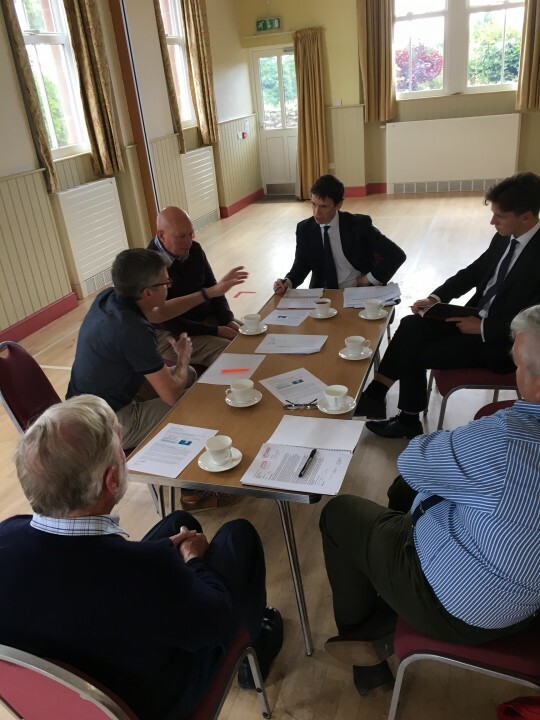 Rory Stewart MP has picked out two Cumbrian broadband schemes to be national models for community broadband – and is working with the Minister for Broadband to share the Cumbrian example across the country. Rory met residents in Milburn and Dufton, this week, who are behind two successful community broadband schemes, established to bring high-speed broadband to their remote Eden villages. Fellnet in Milburn and Dufton Digital both took matters into their own hands after being told that the main providers could not offer commercially-viable broadband. As a result of their efforts, both are now delivering reliable broadband connections within these rural communities, and plans are already underway to improve speeds even further. As a result of the Government’s superfast broadband programme 93% of UK premises already have access to superfast broadband – according to independent figures from thinkbroadband.com. That’s expected to rise to 97% by 2020 but even with this investment, there will still be around one million premises unable to access speeds of 10Mbps or more – the level that Ofcom says a typical household currently needs. The costs of connecting these premises are high, particularly for the final 1%, which are in some of the most remote regions of the UK, such as Cumbria, but Rory believes that schemes like Fellnet and Dufton Digital could act as a template to connect this so-called rural ‘last mile’.